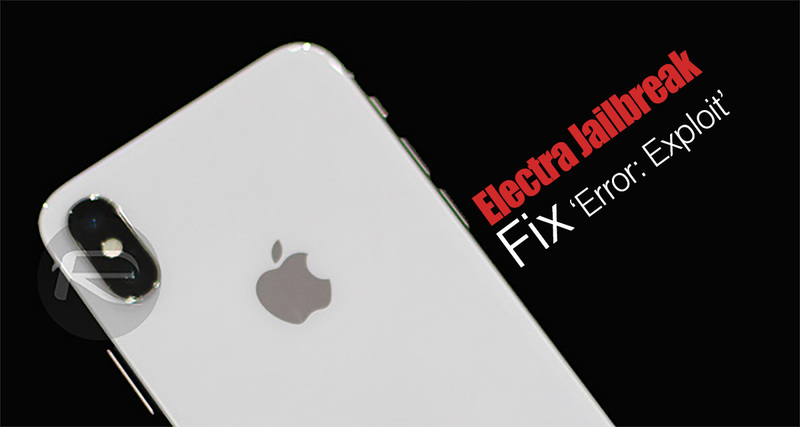 In an ideal world, every part of the Electra jailbreak process would go seamlessly and no problems would be experienced. However, we don’t live in that world, which means that some device owners are inevitably going to encounter problems, such as the “Error: exploit” issue which has been noticed. Much like a lot of other issues which are being encountered in this version of Electra, there doesn’t appear to be any single thing which is causing the “Error: exploit” message to appear and to halt the process. And, once again, just like other issues, there are a few actions that can be performed on the device in order to try and force the jailbreak to move past this error message. We’re going to take a quick look at what those actions are. This first piece of advice may seem familiar but restarting the device multiple times could actually give you some solace from this particular problem. Yes, that’s right, if you are experiencing “Error: exploit,” then simply restart the device once or twice and then try again. If that doesn’t fix the problem, then the next piece of advice is substantially longer and more complicated to execute. Additionally, you will need an Apple Developer account for this. Step 1: Head on over to the part of the Apple Developer account experience which allows you to create applications in the portal. You can quickly get to that here. Step 2: Use any name that you want in the App ID Description section. Step 3: Where you see App ID Suffix, select Explicit ID and enter a Bundle ID. This is typically a reverse domain style entry, so something like com.rpie.electra. Step 4: Where you see App Services, make sure the box next to Multipath has a tick in it. Select Continue. Step 5: Head into the section that allows you to create profiles here. Select the iOS App Development option and then choose the App ID that you just created and named. Step 6: Select the relevant Certificate and click Continue. Select the relevant device and then select Continue again. Step 7: Give the provisioning profile a name and then download it. Now, you can use the iOS App Signer app to use this provisioning profile to sign the Electra app in the hope that it removes the problem. how can I sign the app with the provision I downloaded on a Windows platform? A small percentage of people has Mac. Please make add “Mac users only” to your article title. If you’ve got the apple developer account, you can access these settings in the developers website. It’s not mac users only, because you can then use those credentials in Cydia Impactor on Windows.. It will do most of the XCode stuff for you, Sans macOS.. So no, it’s for everybody… As Cydia Impactor supports all 3 major OSes, Linux, macOS, and Windows. Cheers. I got the provision file from Apple Developer website. Now the article says I have to use iOS App Signer to sign the ipa with the provision i created. There is no option in cydia impactor to load the provision file when you’re installing the ipa. Same here. Tried over 20 times. Error every single time. This crap doesn’t work. Literally the first jailbreak ever to have these “issues”. 11.1.2 never had problems. I know it’s too late , but I know the solution 100% . I have faced the same problem 50 times and it failed but I by accidentally found a solution for it. I have faced now 10 times this problem error exploit and now it easy to get over it if you have Skype I could help you out. I can’t write it because it’s very long description but very easy to do. You don’t need to download anything or remove jailbreak.